1. India accounted for the largest number of poor people in any country in 2012, but its poverty rate was lowest among countries having large number of poor population, according to a latest World Bank report. According to the report, the poverty rate in low-income countries averages 43 per cent in 2012, compared to 19 per cent in lower-middle-income countries. 2. Shashank Manohar was elected President of Board of Control for Cricket in India (BCCI). He was elected unopposed during a special general meeting called by the BCCI following the demise of Jagmohan Dalmiya. 3. The World Bank cut its 2015 and 2016 growth forecasts for the developing East Asia and Pacific (EAP) region, which includes China, to grow 6.5 per cent in 2015 and 6.4 per cent in 2016, down from 6.8 per cent growth in 2014. 4. Ajay Sharma, an Indian-origin diplomat, has been appointed the new British Ambassador to Qatar. Sharma, currently the charge d'affaires to Iran, will succeed Nicholas Hopton. 5. Indian Navy started the 26th edition of the coordinated patrol (CORPAT) exercise with the navy of Indonesia. Main aim of CORPAT exercise is to keep vital part of the Indian Ocean Region safe and secure for commercial shipping and international trade. 6. 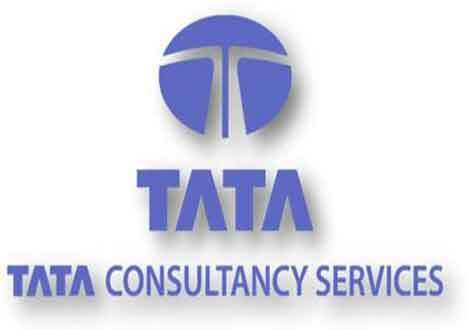 Tata Consultancy Services Ltd. (TCS) has been ranked as the most valuable company in India in terms of market capitalization, according to the date released by BSE. It is followed by Reliance Industries Ltd. (RIL). Infosys dethroned HDFC Bank Ltd to become the third most valuable company in India. 7. Homegrown e-commerce company Flipkart has appointed Sriram Venkataraman as the CFO for its commerce platform and Pramod Jain as Vice President and Head of Taxation. 8. Ace Indian tennis star Sania Mirza and her partner, Switzerland's Martina Hingis clinched their seventh title together by winning the Wuhan Open Tennis Tournament. The top-seeded pair defeated the Romanian team of Irina-Camelia Begu and Monica Niculescu in the title clash. 9. Luis Leao Pinto of Portugal won Asia’s premier mountain biking race that ended in capital Shimla of Himachal Pradesh and got the crown of ‘King of the Himalaya’ for the second time. 10. As a part of Indian Navy’s overseas deployment to West Asia, Africa and Europe, INS Trikand entered Turkey’s Istanbul for a three day visit. During her stay in Istanbul the ship will engage extensively with the Turkish Navy.